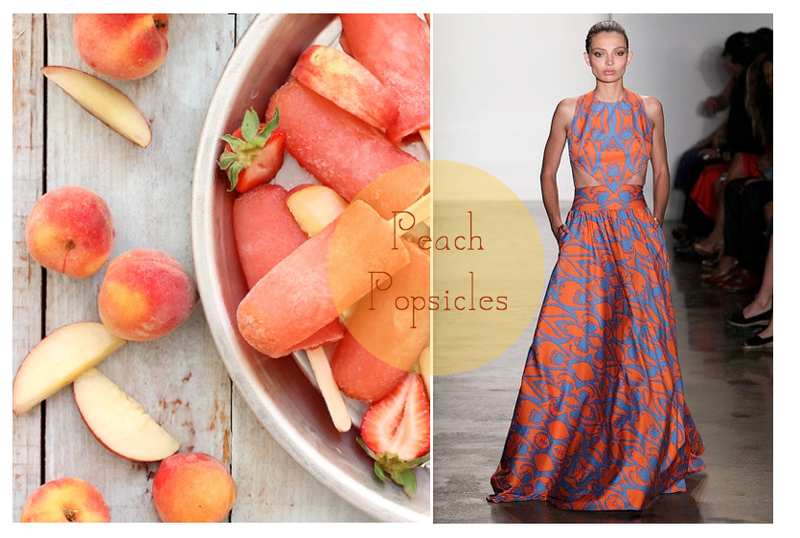 In honor of the gorgeous weather we've been having I give you a peach popsicle inspired look. I think I will be trying to make some homemade popsicles this weekend as we usher in some near 80 degree days. I have been somewhat MIA these days, enjoying the sunshine, going on walks, relaxing with baby and family and running errands. Things are getting much easier, I am more adjusted to life with the little guy and loving it of course. Look forward to posting this weekend and sharing some of the sunshiney happiness! I'll bet the peach popsicles were awesome.